Is the new Tax-Free Childcare Scheme better for your employees? The cost of childcare is a regular topic amongst young families. We know numerous people who struggle to pay for childcare when the primary carer goes back to work. In many cases it just doesn’t make financial sense for the primary carer to go back to work, as childcare costs can wipe out the majority of the take home pay. To give you an idea, families spend an average of about £6,000 a year on a single part-time nursery space. And most families have more than one child. What’s the change all about? 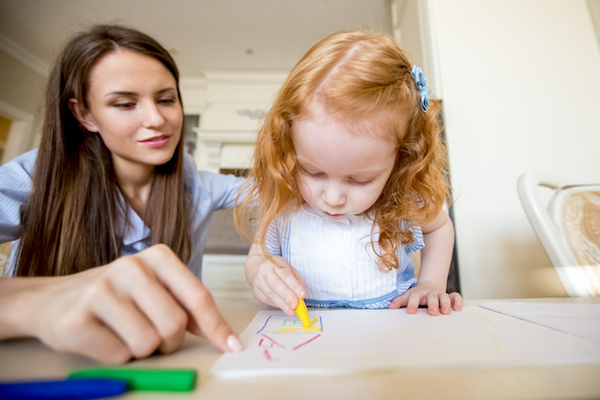 From this April, the government has started to roll out a new scheme designed to provide help with childcare costs for parents who work – the Tax-Free Childcare Scheme (‘TFC Scheme’). This will eventually replace the employer Childcare Voucher Schemes (‘Voucher Schemes’) but for now the two types of scheme will run alongside each other, although parents can only take part in one of them. Who is the new TFC Scheme for? It’s designed specifically to help working families (including self-employed parents) with children under the age of 12 (or under 17 if disabled). The new TFC Scheme means that for every £8 the parents pay in childcare, the government will pay an extra £2 towards the cost of the childcare, up to £2,000, per year, per child. This is equivalent to a 20% basic rate tax saving, hence the name, but it does not have any element of National Insurance saving. The government has already started inviting parents to apply for the TFC Scheme, which will involve opening a childcare account into which is paid the parents’ money and the government’s contribution. This money can then be used to pay the childcare provider, as long as that provider is signed up to the Scheme. As an employer, you don’t need to do anything to enable your staff to participate in the TFC scheme. The government is making the TFC Scheme available to parents of younger children first, starting from the end of April. So how does it affect businesses? It’s always good to be in a position to advise your employees about what benefits are best for them. If you want to help your employees with the cost of childcare whilst they are working for you, you now have a choice. Each scheme can benefit different types of parents depending on their personal and financial circumstances, so it is worth looking at the pros and cons of each scheme to determine whether to encourage your existing employees to switch over to the new scheme. New employees will not be able to sign up to Voucher Schemes after April 2018 and if existing employees using Voucher schemes decide to go for the TFC Scheme they will not be able to change their minds at a later date. The TFC Scheme is also available to self-employed people, in contrast to Voucher Schemes. In addition, you may already be aware that the government is doubling the number of hours of free childcare for 3 or 4 year olds in September this year, from 15 hours to 30 hours. Staff can use the TFC Scheme and Voucher Schemes alongside this free provision.